Do your research before you travel to Mexico for dental care. So, you are considering to go to Mexico to see a dentist. Unless you live for the spontaneous thrill of not knowing what to expect during your dental tour, we highly recommend that you research your options. Traveling to Mexico for dentistry is one of the best healthcare options available to Americans. Thousands of Americans have traveled just south of the Mexico border for high quality dental services at prices that are 70% less than comparable U.S. prices. Do not go bargain hunting. Do not go on the internet and find the cheapest possible price for a porcelain crown in Mexico. Just like dentistry in the United States, the dental industry in Mexico offers a wide variation in prices and quality. You can find well-established dental clinics in the border towns of Mexico that charge almost as costly as U.S. prices. You can also find clinics that offer unbelievably cheap prices (and often times negotiable rates), but you are running into quality issues. Remember, you are already realizing a big discount by going to Mexico. Be wary of dental practices that offer bargain prices, because you may be sacrificing quality significantly. Most popular dentists in Mexico that have a lot of American dental patients offer just the right market price for the dental procedures. By charging the right competitive price and running an ethical practice, successful dentists in Mexico are able to provide first-class dentistry, such as having a modern office, high tech dental equipment, and advanced training. Even though you are going to Mexico for dentistry, dental treatments are still a considerable investment on your budget and health. It’s important to do it right the first time. Don’t settle for just low cost, quality must always come before price. Ask someone who’s been there. Some people just look to the internet – from blogs and message boards – to find references. Avoid making your decision based solely on those online referrals. Anyone – not necessarily an actual dental patient — could have written those referrals or testimonials. Listen to the advice of trusted friends and family who have been to Mexico for similar dental treatments. If they had a wonderful experience, ask for the contact information of their Mexican dentist. However, it’s important to consider that the referral must be a qualified specialist for your specific dental needs. (Learn more about how Dayo can help you find a good dentist in Mexico). Look for a qualified specialist. If you need dental implants, you need to schedule your first appointment with a dental implant specialist in Mexico. For root canals, you need to visit a qualified endodontist. For porcelain crowns and veneers, it’s best to visit someone who specializes in cosmetic dentistry in Mexico. A common mistake to avoid is simply following the referral of other people who have had work from a general dentist. For example, a dentist who does a good job with crowns is not necessarily going to do a good job at creating a full set of dentures. The complicated job of fitting dentures has to be done by a prosthodontist. Unfortunately, some dentists perform procedures without the proper qualification. Mexican dental practices that have multiple dental specialists in one facility have an edge in helping clients with extensive dental treatment needs (such as full mouth rehabilitation). Some dental clinics in Mexico have an oral and maxillofacial surgeon, endodontist, dental implantologist, periodontist, prosthodontist, anesthesiologist, orthodontist, and cosmetic dentist under one facility. 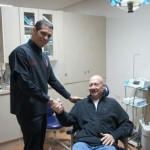 A full-service Mexican dental center offers the convenience of receiving dental treatments in one facility. Of course, you will also find many highly qualified Mexican dentists with multiple specializations in smaller facilities that can handle major work. Do not rush your treatments. Due to costly travel expenses and time sacrifice, it is understandable that dental patients travelling to Mexico demand the least amount of time or visits to finish their dental treatments. However, the best dental treatment results are not performed overnight. Unlike surgical procedures offered by many medical tourism companies, dental treatments cannot be performed in one or two days. Dentistry is an intricate medical procedure that requires a skilled professional and a reputable dental laboratory. Just like in the U.S., dental procedures take time and may require several visits. Depending on your dental case, multiple visits and waiting times in between treatments are required due to appropriate healing times, lab work, pre-requisite procedures, and dental evaluations. Most good dentists in Mexico will not provide overnight treatments (e.g. crowns, veneers, cosmetic restoration), since they have to give their dental labs enough time to create the materials for your treatment. Highly successful dental practices use only reputable labs that guarantee their work. Furthermore, certain treatments require that gum and bone tissues heal properly before proceeding to the next portion of the treatment plan (e.g. dental implants, multiple extractions and dentures). Among all the countries outside the U.S., Mexico is the best destination for dental tourism due to its proximity to the US. If you need to go back for another trip, your airfare will not be as much as going to India or Thailand. If you rush your treatment, you are also rushing the lab work and the dental staff. When it comes to dental treatments, it pays to be patient and to follow best practices. Nothing is worse than returning home with a faulty treatment because you sacrificed quality just to save time. (Learn more about how Dayo can help you plan your dental treatments with the least amount of visits as possible). Go see a U.S. dentist for initial consultation. Understanding your dental treatment needs is a key component of your research process. It can help you estimate the potential savings, select the right specialist, and minimize your number of trips. Knowing the estimated number of porcelain veneers or dental implants — together with their respective U.S. prices — can help you compare the prices and potential savings. Remember, you also have to take into consideration the cost and time involved with transportation (airfare or gasoline), hotel accommodation (if you plan to stay overnight), and other extra expenses. Traveling from cities near the border, such as San Diego, Yuma, El Paso, or Tucson, involves different expenses compared to traveling from New York or Canada. Similarly, the savings associated with full mouth rehabilitation is different from that of a single dental bridge. The number of trips to finish your dental braces will significantly affect your extra travel costs. Furthermore, some patients want a dental vacation with their trip; others just want dental treatments with a minimum investment in time and money. Are the savings associated with Mexican dentistry enough to compensate the convenience of seeing your U.S. dentist just three blocks away from your house? 1. Given your U.S. treatment plan, what is the potential total savings by going to Mexico? 2. How many estimated number of trips will it take to complete your treatment plan? 3. What are the estimated travel related expenses to Mexico? If you are traveling to Los Cabos, Mexico, what is the roundtrip airfare? How long will you need to stay? If you are traveling to a Mexico border clinic, how close are the airport and hotels in the U.S. side of the border? By understanding your oral health and overall medical condition, you can avoid having to travel long distances just to learn that you do not qualify for a specific dental procedure. For example, some patients who want dental implants find out that they need pre-requisite procedures, such as the need for bone grafting or sinus lift. You can better plan your trips if you know what is involved in your treatment. We recommend that you gather as much information and resources as possible so you can make an informed decision about the full benefit of going to Mexico for dentistry. (Learn more about how Dayo can help you make an informed decision about going to Mexico for dentistry). Call the dental facility before you go. You can learn a lot about a Mexican dental facility by simply calling. Unfortunately, sometimes you have to dial a long distance number. However, calling first is absolutely worth every penny of the charges. Why? First, speak to the staff in English. If you can’t speak Spanish, then there’s absolutely no point in going to Mexico if the staff can’t communicate with you in English. If they can’t understand you over the phone, how can you even set up an appointment for your specific dental needs? This is very important. If the dentist doesn’t speak English, you need to ensure that an English speaking translator will be available. Fortunately, most dental clinics along the border in Mexico have dentists or staffs that speak English. Many dental clinics in Mexico, especially those along the Southwest U.S. Mexico border, cater their practice to Americans and Canadians through effective communication in English. Second, verify your specific requirements. Are you allergic to metal? Do they perform metal free crowns or mercury free fillings? Do you require “latex free” materials? Are you looking for a holistic process of removing your metal fillings? Do they offer sedation or general anesthesia for your multiple extractions? Is the dentist certified to offer LUMINEERS? Can you pay by debit card or credit card in the dental clinic, or do they only accept cash or travelers checks? Do they have any payment plans or discounts? Third, request prices for discrete procedures. 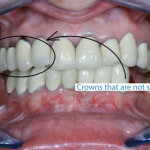 What is the estimate price for a porcelain crown? What is the price range for white fillings? Some clients call Mexican clinics to seek a full cost quotation of their dental treatment as recommended by their U.S. dentists. Most reputable dental facilities in Mexico will not give the exact total cost of the dental treatment plan without the first initial consultation visit. In this case, they are simply acting ethically to uphold industry standard dental practices. A good dentist will want to examine your mouth fully before providing recommendations and exact prices. Keep in mind that every dentist can have different opinions regarding your treatment plan. However, if you are traveling hundreds (via car) or thousands of miles (via airplane), it is perfectly fine to ask for the ESTIMATED prices of INDIVIDUAL dental procedures. You need this information to calculate your savings and make an informed decision about going to Mexico for your dental care. Fourth, you must request a definite initial consultation appointment. If you are travelling all the way from New York, your travel plans will be in jeopardy if the dentist in Mexico can’t see you because he or she is booked for the week (which happens, especially during peak seasons). Be careful of dentists in Mexico who do not keep their appointments. Some dental facilities overbook their day by accepting walk-in clients traveling across the border without any specific appointments. Although this is bad business practice, it happens at the expense of clients who have appointments. Mexico Dental Tip #7: You can go, but can you come back? Obtain the proper documentation to travel back and forth to Mexico. Some people plan long dental visits to Mexico and find out the last minute that they don’t have a passport or they can’t find their birth certificate. Before you travel to your destination in Mexico, verify if you have the necessary travel documents. Click here to learn more about the latest travel requirements when you cross the border to Mexico. Schedule your dental appointments during off-peak seasons. Border towns in Mexico such as Tijuana, Los Algodones, Nogales, Puerto Penasco (also known as Rocky Point), and Juarez receive a high volume of tourists during the months of January to March. People travel to the border towns for many reasons, which includes buying cheap prescription medications and prescription eyeglasses, shopping, visiting medical facilities (cosmetic surgery, dentistry, and general medicine), or plain sight-seeing. Specifically, during the winter season, the border towns receive an influx of active adults and retirees (“Snowbirds”). The biggest demographic that travel to Mexico for the above reasons are from the American and Canadian senior population. If you travel during the peak seasons to the border areas in Mexico, it is common to run into long lines of people entering the U.S. (lines in the border can be up to 1.5 hours long). Dental clinics are also busy, and their schedules are less flexible. Traveling during off peak seasons (April – December) is ideal when visiting a dentist in Mexico. If you don’t mind the summer heat, you will get extra attention from the dentist and their staff by traveling during the summer. Regular dental patients who go to Mexico often travel during the summer months, when they can receive their dental treatments with plenty of flexibility and convenience. Verify with your dental insurance company for coverage in Mexico. If you are one of those lucky few who have dental insurance, maximize your benefits! Call your dental insurance provider if reimbursements are available for dental procedures performed in Mexico. If yes, verify if your composite white filling or root canal is covered. Oftentimes, certain procedures, such as a porcelain veneer, dental implant, dental bridge, and teeth whitening, are not covered as cosmetic dental procedures. If you have insurance coverage for Mexican dentists, the standard practice is for you to first pay for your dental procedures in Mexico. Afterwards, you can request for a reimbursement form from your Mexican dentist together with the dental treatments performed. You can then submit the form to your dental insurance policy provider for reimbursement. Is the facility clean and presentable? As you enter the facility, look around. Is the waiting lobby presentable, are the bathrooms sanitary, are the dental chairs well-maintained? The dental clinic does not have to be big; they just need to be clean and presentable. The condition of the facility tells a lot about the priorities and practices of the dentists and their staff. You want a dentist in Mexico who is meticulous and takes pride at the condition of his facility; it tells you a lot about how meticulous he will be with your dental care. Observe the safety practices while sitting on the dental chair. Although Mexico has government institutions and local organizations that impose safety and infection-control practices in dentistry, unfortunately even some licensed dentists in Mexico have compliance issues. Realistically, non-compliance happens in any country and in any medical industry. b. Use of sterile covers to protect items and surfaces (e.g., light handles, trays) that may become contaminated by blood or saliva during use. c. Use of clean water, such as distilled water. d. Use of sterile equipment. For a comprehensive list of safety items, visit the CDC Resources on the web (http://www.cdc.gov/mmwR/preview/mmwrhtml/00021095.htm). a. What are your education, training, and experience qualifications for the specific procedure? Are you licensed or certified to perform my oral surgery? b. Do you have pictures of similar cases that you have performed? Explain the sample cases. e. What preparations are required for my dental surgery? Request a comprehensive treatment plan with exact prices. Before you finish your initial consultation, request a written comprehensive treatment plan that outlines what procedures will be performed on each tooth, together with their respective prices. If you are undergoing multiple extractions and dentures, any other costs associated with oral surgery, sedation or general anesthesia must be included in the total. By doing so, both you and your Mexican dentist have a written commitment throughout the treatment. Moreover, you can track your progress and expenses as you undergo treatment. Dental Travel Tip #5: Ok, I’m ready. Let’s plan the appointments. Schedule your visits in advance based on your availability and finances. Hopefully by this time, you have enough information to plan your treatment. By proactively scheduling your treatment visits in advance, you can minimize extra expenses and unwanted hassles throughout your treatment process. Especially during peak seasons, you wouldn’t want to have to wait a whole month for your next visit just because you are trying to make a last minute appointment. In cases such as full mouth restoration, your extensive treatment will require a series of visits over a period of time. Ensure that you understand the sequence and number of visits, so you can identify opportunities to save time and money by staying in Mexico for a full day or a few consecutive days. By doing so, you can finish your treatment plan with the least amount of trips as possible. Explore how Dayo Dental can help you see a dentist in Mexico, ensuring you have a safe, affordable, and superior dental experience in Mexico. How much is a tooth extraction? Compare Average Cost.